MS&MC survived the post war economical peril of the 1920s. 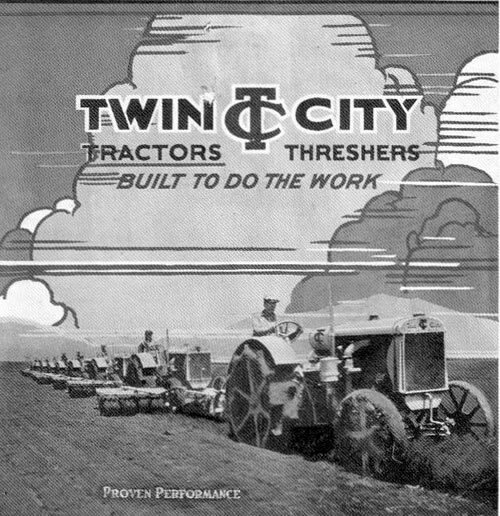 Aside from a few hundred of the heavyweights, the only tractors made from 1920 through 1925 were the 12-20 and 20-35. Fortunately for the company, the 12-20 released in 1918 was so well done that minor engineering advances made to this model would allow it to make more power, be advertised as a new tractor, and keep the production lines rolling without extensive retooling investments. For 1926 the 12-20 was re-rated to a 17-28. Tractor number 19220 was delivered to Nebraska Testing Facility and recorded 22 drawbar and 31 belt horsepower under test number 121. 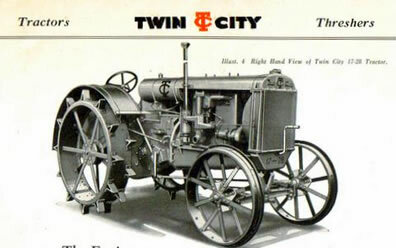 Numerous equipment refinements were made to exceed the new rating, however, the basic tractor was the same and still retained the 340 cubic inch, sixteen valve, twin cam engine with a bore and stroke of 4 1/4 x 6. Different text sources suggest the engine rpms may have been increased from 1,000 to 1,075. 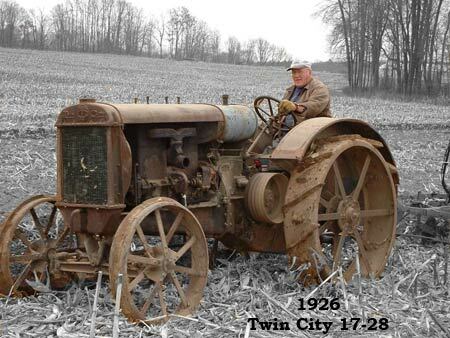 After one year, the 1927 tractors were given extra fuel capacity with the addition of a pressed steel tank saddle to replace the cast iron one and the twenty gallon tank was removed in favor of a thirty gallon. More options were offered for wheels to meet the need for industrial uses and road building. Orchard versions were produced and road graders like Gallion and Hawkeye were powered by 17-28's. These tractors were popular with the nations farmers and nearly 11,000 17-28s were sold from the start of 1926 to the end of 1929. Technically production stops there because the new 21-32, KT and MT would now be available, however, 700 left over units were sold from 1930 through 1935. Midwest Canning Company (Later known as Delmonte) in Rochelle Illinois had well over 100 17-28s operating in their fleet at one time. 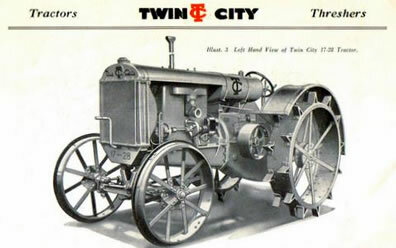 This machine is the highest production Twin City tractor produced. If you subtract the evolutionary refinements from the 17-28 and visualize the 12-20 and 17-28 as the same tractor, a production run in excess of 20,000 units spanning over twelve years becomes apparent. Obviously this machine helped to carry MS&MC through the financial storms of the post war depression. The oldest documented 17-28 is number 19023, however, re-rating date is not clear and may be closer to 19000.